The next meeting of the Kisatchie Fly Fishers will be on Monday, September 28, at the Rapides Westside Library in Alexandria. The public is welcome. Casting outside at 6:00pm. Our speaker will bring bamboo rods to demo cast. Meeting will start at 6:30pm or slightly later, depending on how long casting goes. Our special guest speaker this month is Harry Boyd. For 23 years, Harry served as pastor of three different churches in Louisiana. While he continues to preach on a needed basis, most of his time these days is dedicated to his fun endeavors: fly fishing and rod making. While Harry has written many articles on both subjects, it's his bamboo rod skills - and associated business - that have earned him national recognition as one of the best. He restores, repairs and builds fine cane rods. For this meeting, Harry will give us an overview of bamboo rods and the requirements for cane rod making. Come prepared to bring any questions you might have. For more info about Harry and his works, go to his website at www.canerods.com. Prior to the meeting, Harry will bring a few cane rods for us to test cast. 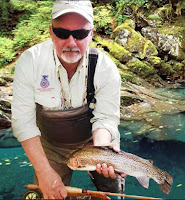 If you've never cast a bamboo fly rod, you're in for a real treat! National Hunting and Fishing Day this Saturday! 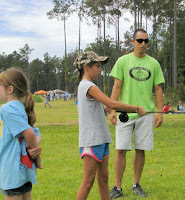 Activities include: a Civil War re-enactment, falconry demonstrations, Alligator skinning SWAT Team Demonstration, cannon net demonstrations, target shooting with shotguns, .22 rifles, Muzzeloaders, air rifles, as well as archery target shooting, live snake display, free photos taken on the Air Boat, rock wall climbing, retriever dog demos, hay rides. Our next fly tying session will be Monday, September 21, at the Rapides Westside Libary in Alexandria. Time is 6:30pm. 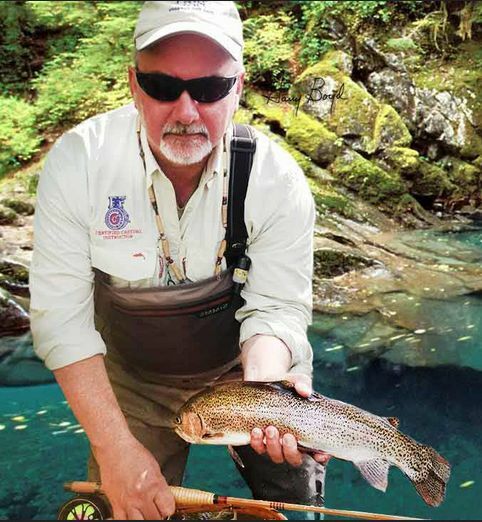 This month Dan Fromme will demonstrate one of the most effective patterns for coldwater trout on small streams, or when midges are the predominant hatch. The Griffith's Gnat was created by George Griffith, one of the founders of Trout Unlimited. 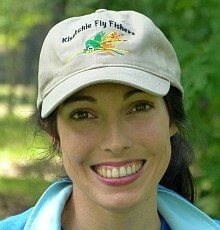 It's a buggy dry fly that can be fished a number of different ways.